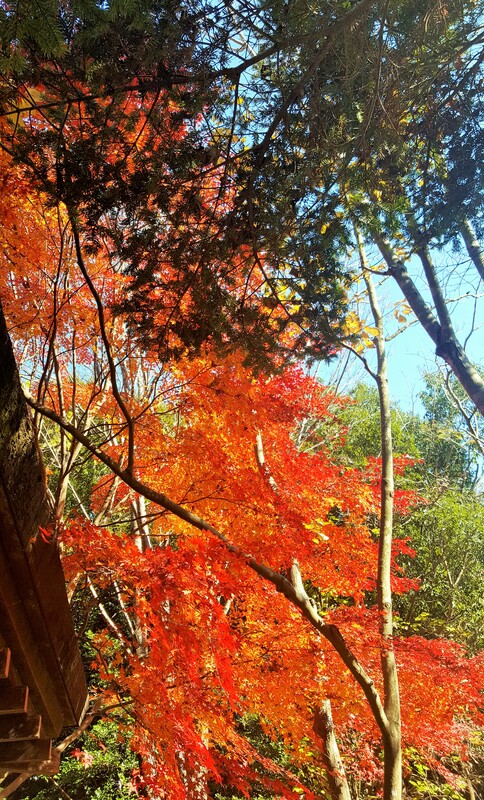 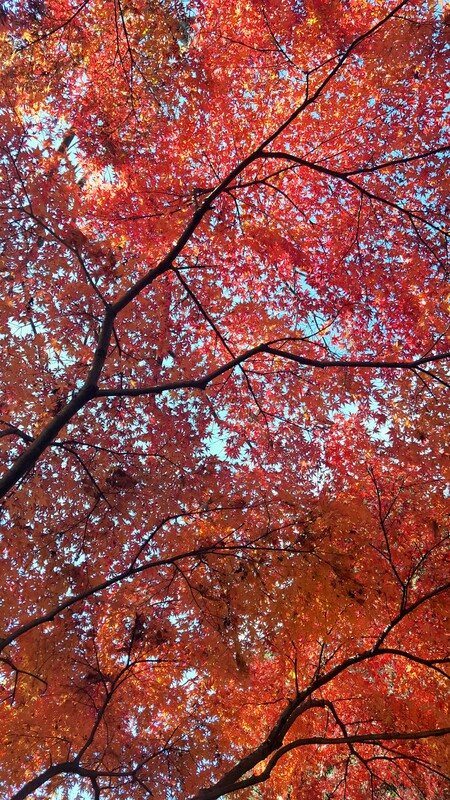 Already in winter, we can still enjoy breath-taking maple foliage in Tsukuba Botanical Garden. 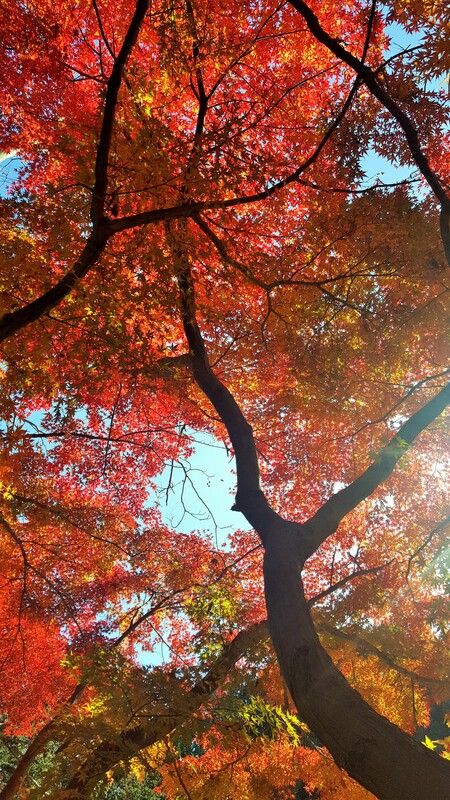 It is interesting that color of leaves looks a bit different depending on viewpoints: when we see it from a distance, orange is reinforced while red occupies our sight when we stand by a trunk to look up. 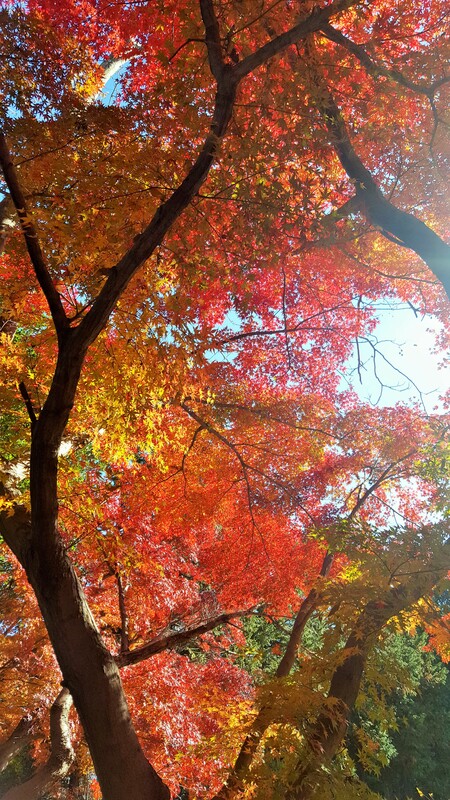 If they keep green and yellow leaves, we feel like staying in a rainbow.